The Jerry Jaspar classic decal "Planet Shroom" now available as a Poster. 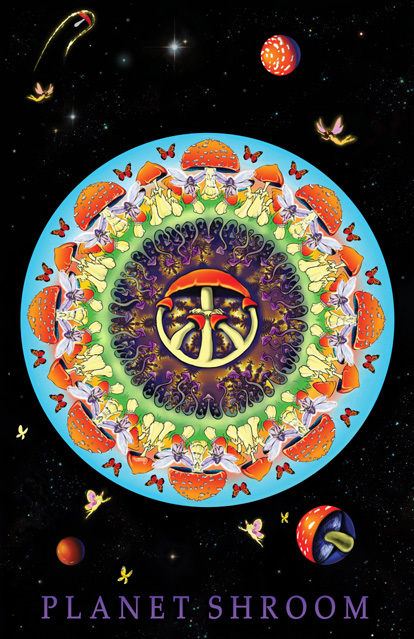 Done in a mandala style, this poster features a hollow planet of mushrooms. The planet floats in space surrounded by Amanita moons and asteroids. Fairies, stars, and butterflies are visible in the distant reaches of space. PLANET SHROOM reads across the bottom in purple lettering.